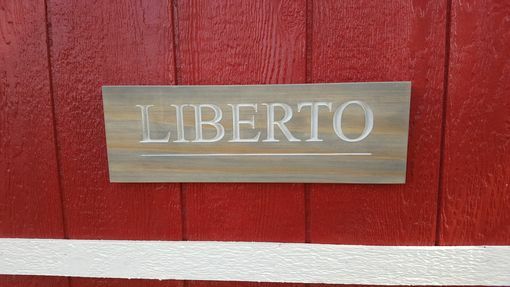 Custom sign for your family, in-laws, or even friends. This is a simple sign that's designed for a quick turnaround saving you time. The sign show is 7x18x3/4. It's made from clear pine and finished in a grey weathered stain with white letters. Sign comes with a sawtooth hanger on the back for a quick install. This makes a perfect fit for the cabin, office, and home.